No politics. No drama. Just shooting. How many of you have been halfway through a long range session or training class and realized that your hearing protection was giving you a killer headache? I know I have. It's caused by the cheap plastic and foam cushions that come from the factory on most earmuff-style hearing protection. They press the arms of your eyewear into the sides of your head, which can get quite uncomfortable after a while. Many companies offer more comfortable gel ear muff cushions as aftermarket add-ons, but Noisefighters is the first company to offer gel cushions with recessed channels for the arms of your eyewear. Their Sightlines Headset Cushions feature relief channels for the your eyewear that relocate the arms just above your ear. They do a much better job of protecting your hearing than traditional headset cushions since your ears are now completely sealed with no interference from the eyewear arms. Another benefit to the location of the eyewear arms is that they are no longer in contact with your outer ear, where many shooters experience hot spots after extended periods. Sightlines house their gel filling in a UV-resistant, non-hydroscopic material that should far outlast the cheap, plastic headset cushions featured on most earmuffs. The silicone gel used to fill the cushions, combined with the relief channels makes for the most comfortable, quiet range sessions I have experienced. I've been using my personal set of Sightlines cushions for about 3 months and they are holding up well. I'm a pretty sweaty guy and usually just toss my earmuffs back into my range bag after shooting and forget about them. I haven't noticed any negative effects on my Sightlines due to my lack of maintenance. Sightlines models are available for earmuffs from every major manufacturer. Additionally, models are available for many communications headsets and listening devices. Noisefighters is a combat veteran-owned company and all Sightlines Headset Cushions are made here in the United States. I served with the owner of Noisefighters in 1st Battalion, 6th Marines where we completed two combat deployments together. He served as a radio operator in our battalion's Scout Sniper platoon and understands the importance of reliable, durable equipment and the positive difference that comfortable equipment makes. You can learn more about Sightlines Headset Cushions at noisefighters.com and you can also shop for high quality rifle and pistol components from Noisefighters' sister company sintercore.com. Scotty is a Marine combat veteran. 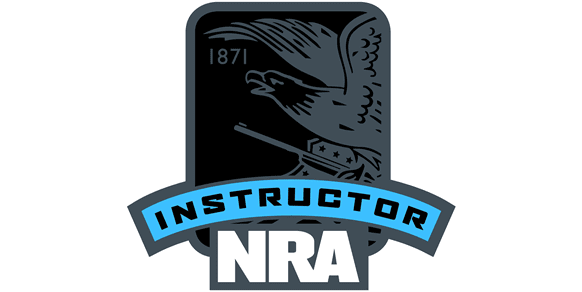 He regularly attends firearms training classes, participates in the shooting sports, and is an NRA certified pistol instructor.